Leicester City host Cardiff City on Saturday afternoon in the Premier League. Leicester City welcome Cardiff City to the King Power Stadium on Saturday afternoon as they look to make it three wins from three. Leicester come into the game off the back of two superb results. The Foxes beat Chelsea 1-0 at Stamford Bridge, their first win at the Bridge in 18 years, and then followed it up by coming from behind to beat the current champions Manchester City 2-1 at home on Boxing Day, propelling them to 7th in the table. Cardiff stopped a run of defeats in their last match after they held Crystal Palace to a 0-0 draw. This result came after a 3-2 loss to Watford saw a spirited comeback fall short for the Bluebirds, and a 5-1 loss to a rejuvenated Manchester United under caretaker manager Ole Gunnar Solskjaer. Should Leicester get the win, the Foxes, should results go their way, can consolidate their current seventh spot in the league and potentially close the gap to Manchester United in sixth to only one point. Puel's Leicester have passed the first two tests after defeating Chelsea and Man City, but the game against Cardiff will hold different difficulties as Cardiff will look to hit them on the break the same way that the Foxes did in their previous two games. 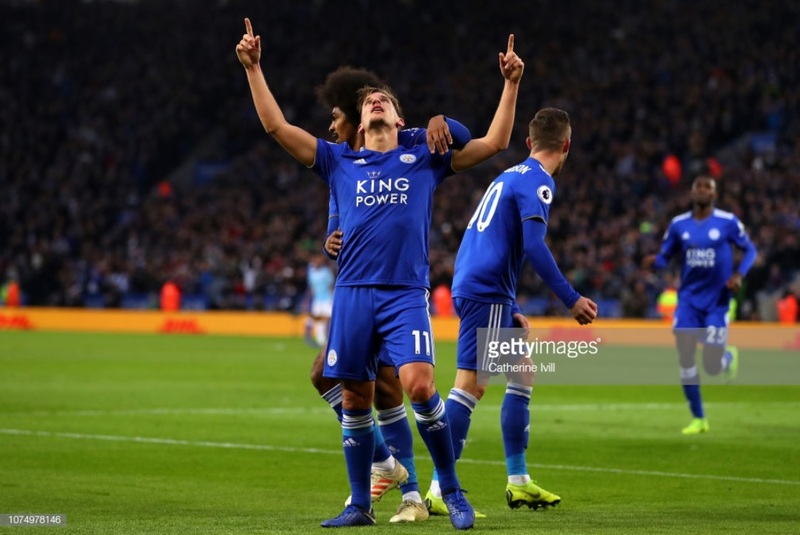 Leicester will have to find a way to break down a resolute defence, something that they have struggled with in the past, putting an emphasis on Puel's tactics and decision making. A win here, would see Puel's future at the club grow stronger. For Cardiff, the three points would go a long way in terms of the relegation battle and would see them avoid being in the bottom three as the New Year begins. The Bluebirds have struggled for points away from home, only being able to pick up two points so far, so three points at the King Power would be a great achievement for them. Marc Albrighton has been in terrific form recently, chipping in with two goals against Man City in the Cup and in the League respectively. If he wants to add another, he will have to beat Cardiff's Neil Etheridge. The keeper has made some outstanding saves this season and has shown that he is right at home in the Premier League. His saves have often kept Cardiff in matches and he comes into the game off the back of a clean sheet against a Crystal Palace side that recorded 31 shots in total. What happened in the last match between the teams? Leicester won an incredibly emotional game at the Cardiff City Stadium in the last game between the sides as Demarai Gray scored the only goal in the Foxes' first outing since former Chairman Khun Vichai tragically lost his life along with four others in a helicopter accident. Cardiff and Leicester supporters alike united to mourn and celebrate the life of Khun Vichai with observed silences, banners and songs, with the Leicester fans staying long after the game singing in full voice, chanting the names of every player in the team as they stood on the pitch and applauded. Leicester have no fresh injury concerns coming into the match, though Claude Puel has alluded to tiredness when it comes to his team selection. Jamie Vardy took a knock against Man City but remains fit and the only absentees due to injury are Matty James and Daniel Amartey. Callum Paterson faces a late fitness test for Cardiff, while Aron Gunnarsson and Harry Arter could return to the squad. Kenneth Zohore, Jazz Richards and Danny Ward remain out with injuries. Leicester: Schmeichel; Simpson, Maguire, Morgan, Chilwell; Choudhury, N'Didi; Gray, Maddison, Albrighton; Vardy. Cardiff: Etheridge; Manga, Bamba, Morrison, Cunningham; Gunnarsson; Hoilett, Arter, Camarasa, Murphy; Reid. The Cardiff match marks the start of the second half of the season and Leicester manager Claude Puel has given his assessment on it in his pre-match press conference. He said: "I think we have a different feeling. We perform in a good level, a lot of games. We had a lot of difficult things to manage. "We needed to manage to come back with a strong character. But I hope we can find more consistency in our play for the second part of the season. The Premier League is a fight with teams together, with few points between them. All the games have fight. We have a lot of teams around us." Cardiff manager Neil Warnock spoke about the match against Leicester earlier in the season in his pre-match press conference. He said: "I don’t think we could’ve won the game here against Leicester under the circumstances. It was probably the worst game I’ve ever felt as a manager." The 70-year-old though suggested that he was looking forward to the match. Warnock said: "I think the lads were buoyant from Palace. We don’t want any more results like the Man United result. Goal difference could be really important."